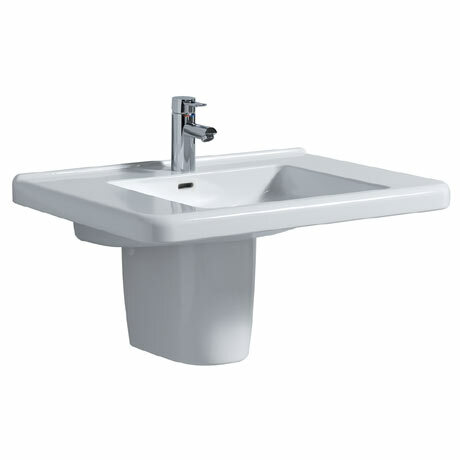 The All 750mm basin and semi pedestal features a shallow washbasin enabling full access for wheelchair users. It's flat basin sides provide support when used as an arm rest while the integrated finger grooves on the underside of the basin are easy to grasp. Manufactured from high quality fine fireclay, the basin features a single tap hole and integrated overflow. Dimensions: (W)750 x (D)550 x (H)155mm approx.